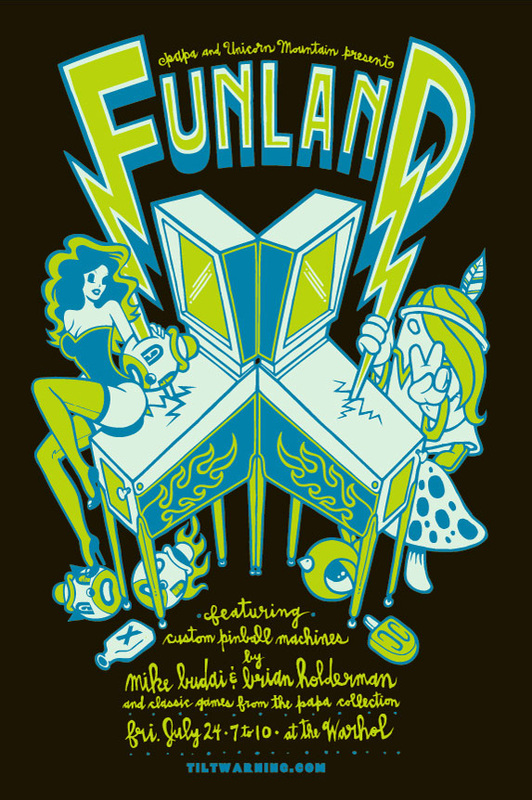 “Fun Land: The Art of Pinball” is a showcase of the rich pop art history and chrome-bright future of pinball. The event will serve as the launch of newly designed machines by internationally-renowned local artists Brian Holderman and Mike Budai. Uniquely, all the art will be playable. A DJ will be playing songs that hearken back to the amphetamine-fueled seventies heyday of the sport.